To celebrate the Feast of Saint Valentine we’ve introduced a new line of Greeting Cards for all you romantics out there. Valentine’s is a special day in Ireland and our series of Irish themed artworks will hopefully inspire you and help ignite that burning passion that lies within! 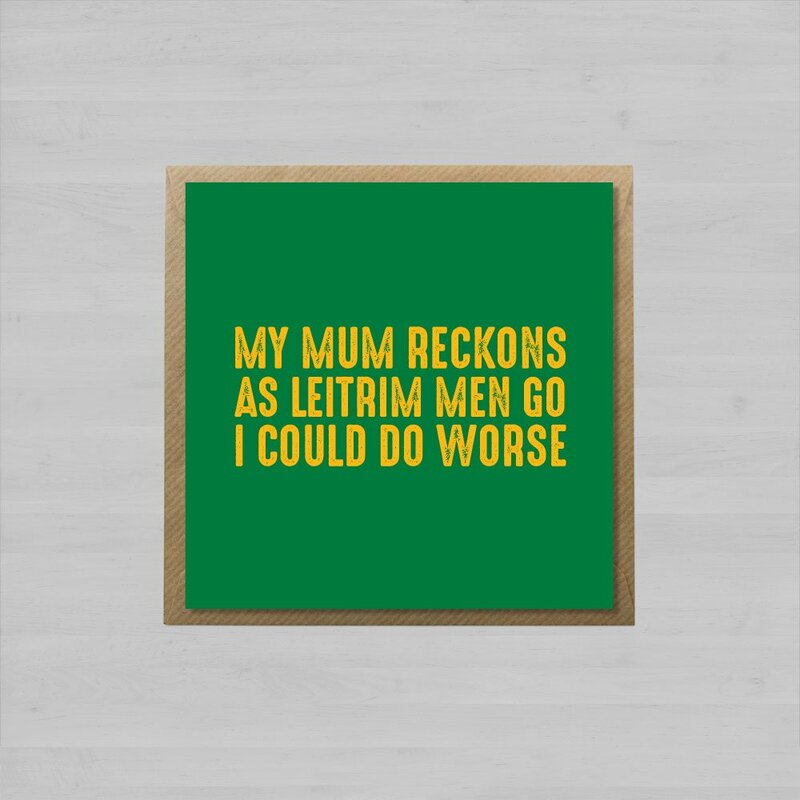 ‘My Mum Reckons As Leitrim Men Go I Could Do Worse’ Valentine’s Card.